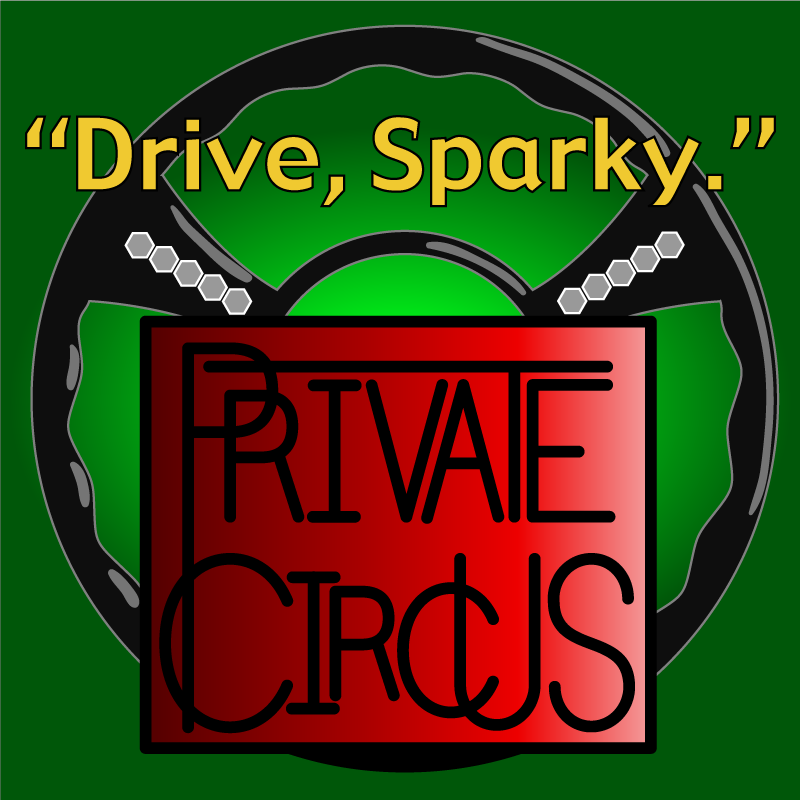 Private Circus. Three rings, Three musicians. A Clown Car with an afterburner. Bass playing kinda guy, Berklee Grad. Pathetic Red Sox fan, goes for old cars, boats without motors. Also sings. Good carpenter. Made himself a new bass with way too many strings, and made Mr. Hacksaw a bass with the correct number of strings. Rhythm Administrator. Used to bang his head on the head board of his crib, rhythmicly. Computer flogger, writer. Currently composing various things. Guitar Torturer. Wow. Plays a lot of other instruments. Jerfo is known to make music all by his lonesome self. Jerfo also flogs computers. Listen to and buy our album, please. Our music is somewhat eclectic, and ranges from instrumentals, to songs about relationships, trees, deluded clowns, and obsessive cookie selling girl scouts. It is certainly dynamic (i.e. sometimes loud, and sometimes quiet), and we hope, fun. On a suggestion from Hacksaw's friend and ocassional writing partner Mark Ensley, we have dubbed our style to be Progressing. We're not really progressive, since that has taken on a particular feel (think Yes), not unlike the literary term Modern. But those who like progressive music would probably like a lot of our songs. So would fans of alternative, jazz, and others. Those wishing to classify us need to know that listening to one song is not nearly enough data, and 5 or 6 might barely provide a good picture. None of it could be call mellow. There are no ballads. There are songs that could be called: pop, jazz, metal, fusion, funk, and just plain novel. Those who have heard it have a hard time describing it as well, but they all claim to have had a good time. Our influences range from Miles Davis, James Brown, Bootsy!, King Crimson, Yes, Fishbone, The Time, Led Zep, Jethro Tull, Devo, Elvis Costello, Jim Carroll, Henry Rollins, Ministry, Rush, Bill Bruford, Stevie Ray Vaughn, Frank Zappa, Jeff Beck, Primus, Husker Du, Stravinsky. O.K. maybe also Talking Heads. Probably Others. But not the Doors, damnit! Logos are the result of spending too little time with the gimp. When I have more time, I'll try to get savvy.